In addition to regulations that prevent discriminatory lending practices, you also have certain rights with respect to your credit files. The latter will be the basis of the discussion that follows. The Fair Credit Reporting Act (FCRA) was created to promote fairness, accuracy, and privacy with respect to files maintained by any consumer-reporting agency. The Fair and Accurate Credit Transactions Act of 2003 (FACTA) amends and strengthens the FCRA, and contains provisions to help prevent identity theft, improve resolution of consumer complaints, and improve the accuracy of consumer reports. FACTA will also help improve the use of, and consumer access to, credit information. These laws apply to credit bureaus that compile and report information about you, as well as to any individuals or organizations providing information to such agencies. If you feel that your credit reporting rights have been violated under the FCRA or FACTA, you can file a complaint with the Consumer Financial Protection Bureau. Visit www.consumerfinance.gov for more information. What are your rights under the Fair Credit Reporting Act (FCRA)? All consumers are entitled to one free credit report annually from each of the three major credit bureaus. You can make a single request for copies from all three credit bureaus by contacting a centralized source that has been established for this purpose. You are also entitled to a free credit report in special circumstances (e.g., you become a victim of fraud, or you are denied credit). If a creditor that routinely furnishes information to a credit-reporting agency provides that agency with negative information about its transactions with you (e.g., late payments, delinquency status, charge-off or other default), it must inform you it is doing so. This notification must be given to you prior to, at the same time as, or within no more than 30 days after submitting the information to the credit bureau. The notice must be clear and conspicuous, and may be included with any billing statement, notice of default, or other material provided to you. Caution: Once you’ve been given this notice, the creditor may provide the credit bureau with additional negative information about the same transactions or account without having to notify you further. If a credit bureau maintains or generates a credit score that it furnishes to creditors, it must provide you with that score if you request it. It must supply the current score on file, the date the score was created, the name of the person or organization creating the score model, the range of scores possible under that model, and (if appropriate) a list of up to four key factors that may have adversely affected the score. 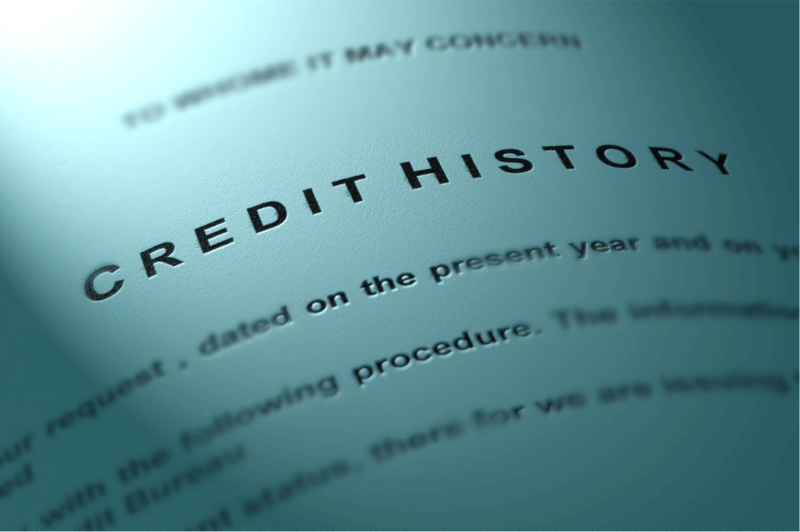 If one factor adversely affecting the score is the number of credit inquiries in your file, it must be listed. You may be charged a small fee for this service. If you think you have been or are about to become the victim of fraud (including identity theft), you can ask the credit bureaus to place an initial fraud alert on your credit reports. For at least the next 90 days after your request, any user requesting your credit report or credit score will be notified that you don’t authorize granting any new credit, extensions of existing credit, or additional (or replacement) credit cards for existing accounts unless the user identifies the person making such a request. If you have been victimized by fraud or identity theft and you file a report with any appropriate law enforcement agency, you may then request that the credit bureaus place an extended fraud alert on your credit reports. Unless you terminate it sooner, this alert will then be sent to users of your credit report or credit score for seven years from the date of your request, and will automatically exclude your name for five years from any prescreening lists generated by the credit bureaus. If you have been victimized by identity theft, you can block a credit-reporting agency from including information on your credit report about transactions that were a result of that theft. To do this, you must provide the credit bureau proof of your identity and a copy of an identity theft report filed with an appropriate law enforcement agency. You must also identify the information on your credit report that you claim is the result of the identity theft. Caution: The credit bureau may decline or rescind a block if it determines that you requested the block in error, misrepresented the facts in order to obtain the block, or acquired goods, services, or money as a result of the block. Once the block is in effect, the credit bureau must notify the creditor submitting the information that the information has been blocked. The creditor must establish procedures to prevent resubmitting the information, and the credit bureau must take precautions to ensure that the blocked information doesn’t reappear on your credit report. You can dispute an inaccuracy on your credit report directly with the creditor who furnished the information to the credit bureaus. The creditor is obligated to investigate your dispute and notify you of its finding. If the investigation verifies that the disputed information was incorrect, the creditor must then correct the inaccuracy at the credit bureaus to which it reported the inaccurate information. The creditor must also develop procedures to prevent the incorrect information from being resubmitted to the credit bureaus. A creditor can decide not to pursue an investigation of your dispute if it determines your dispute is frivolous. Your dispute may be deemed frivolous if it is substantially the same as a dispute you’ve recently submitted that has already been investigated. If a creditor decides not to pursue an investigation because it deems your dispute frivolous, it must notify you of that decision within five business days. Tip #1: Some states may require credit bureaus to complete their investigations of disputed items within shorter time periods. Tip #2: Under FACTA, you also have the right to dispute inaccuracies directly with the furnisher (see below for more information). If, during its investigation, the credit bureau verifies that your credit report contains errors, the information must be removed or corrected. If the credit bureau is unable to verify whether the information is accurate, it must remove the information from your report. The credit bureau must give you a written report of its investigation. If the investigation results in any changes to your report, the credit bureau must give you a new copy within five days after completing its investigation. Caution: If the party that originally provided the disputed information verifies that the information is accurate within the time allowed for the investigation, then the credit bureau need not remove the information from your report. Tip #3: If disputed information is removed from your report, it may not be reinserted unless the original source of the information certifies its accuracy and completeness. If the information is then reinserted, the credit bureau must provide you with written notice and give you the name, address, and phone number of the information provider. If an investigation of disputed information does not resolve your problem, you have a right to add a 100-word consumer statement to your report. The statement should set forth your side of the story regarding the disputed information. The credit bureau must include a summary of your statement (written by them) with each copy of your credit report that is sent out in the future. If you request it in writing, a copy of the statement will be sent to everyone who made an inquiry about your credit in the last six months. There may be a fee for this service. Unfortunately, consumer statements are often ignored by creditors. If you tell your bank, credit card company, or anyone else who reports to a credit bureau that you dispute a particular item on your account, then they may not report that information to the credit bureaus without including a notice of your dispute. Further, once the creditor has been notified in writing, it may no longer report that information at all, if the information is incorrect. Lawsuits/Judgments: 7 years or until the statute of limitations expires, whichever is longer. (A few states have longer statutes of limitations). There are limitations regarding who may acquire a copy of your credit report. Generally, only people who have a legitimate business need (e.g., creditors, insurers, employers, landlords, or other businesses) may obtain a copy. Your written consent is required before your employer or a prospective employer can obtain a copy of your report. Likewise, your written consent is required before medical information about you can be reported to creditors, insurers, or employers. Caution: Under FACTA, employers need not obtain an employee’s consent if the employer is investigating an employee’s suspected misconduct. Many creditors and insurers use information obtained from credit bureau files to identify targets for unsolicited offers of credit and insurance. If you get one of these offers, read it carefully. The offer must contain a toll-free number that you can call to remove your name and address from future lists. If you call the toll-free number, your name must be removed from the list for two years. If you complete a form provided by the credit bureaus, your name must be taken off the list indefinitely. Under federal law, you can sue a credit bureau, a user of a credit bureau, or, in some cases, a provider of credit bureau data, if they violate the Fair Credit Reporting Act. Tip #4: If the credit bureau is negligent in failing to comply with the law, you may sue for actual damages. If successful, you may recover reasonable attorney’s fees. In addition, if the credit bureau is willful in failing to comply with the law, you may be able to recover punitive damages (designed to punish the violator). Generally, the statute of limitations is two years from the date of liability and claims may be brought in state or federal court. In March 2015, a settlement between the State of New York and the three credit reporting agencies (Experian, Equifax and Transunion) provides for new and significant credit protections to consumers. These changes were led by the Credit Financial Protection Bureau (CFPB) and will affect your rights to credit report access, disputes, and overall account accuracy. Access: You now have free access to your credit scores through your credit card company. The scores from each credit bureau will be printed on your monthly statement. These will also be available in your personal account on the company’s website. Additionally, if you dispute any information on your credit report, you are entitled to a second free copy from each agency. This will help ensure that the changes, if any, have been made on your report. Disputes: For credit disputes, each credit bureau must have trained staff available to examine all documentation provided by both the consumer and the lender. Their job will be to make a reasoned judgment that considers both sides of the story instead of accepting only the lender’s version of events (a frustrating aspect of the dispute process in the past). Medical Debt: Each agency must wait 180 days before adding medical debt to your credit report. Furthermore, they must remove all medical debt from your report when the insurance company pays it off. ➡ You can learn more about these changes in our video below.